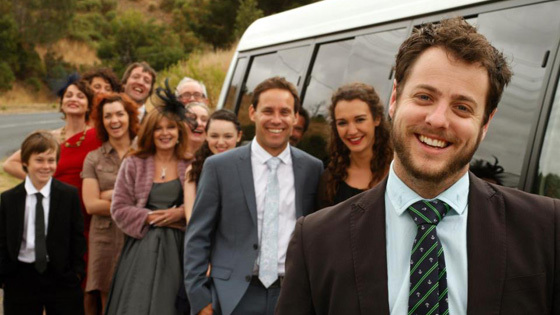 After being asked to film a cousin's wedding, Denny Finch begrudgingly makes his way to the regional Victorian town of Wonthaggi where a mini-bus awaits to transport Denny, his family members, friends, the marriage celebrant and a mysterious stranger to the ceremony in the nearby town of Leongatha. The trip should take no more than an hour or two, however things don't go entirely to plan as mechanical faults, family disagreements, missing children, pesky local "wildlife", unplanned funerals and other unforeseen circumstances stop the bus in its tracks. For Denny and his family, the road to Leongatha becomes a very, very long one.